At Jormaepourri we love roses. 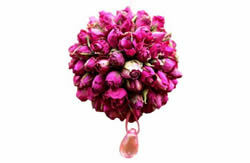 Our team has created a whole range of decorations and gifts from dried roses, including filled organza bags and mesh cages, garlands, pomanders and hearts. Add our Rose Garden Fragrance Oil for the scent of summer. We will be in Harrogate this Sunday at the Home & Gift Buyers Festival. We’ll be there until the 20th so hope to see you there. Take a look at the Jormaepourri team in their new uniforms! Together this creative team produce unique, hand-made home decorations here in Gloucestershire, UK. They specialize in using dried fruits, flowers, spices and fragrances to make gifts, wreaths, garlands and bouquets. If you would like more information about our products take a look at our website or call 01242 300506. 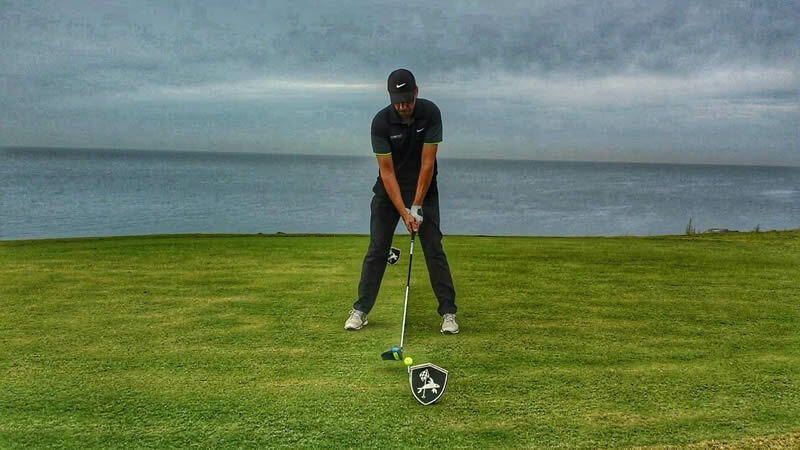 John will be caddying for Craig Shaw on Thursday in the Robin Hood Farmfoods Shootout at Robin Hood Golf Club in Solihull. Just a reminder that we will be in Harrogate from July 17th – July 20th at the buyers festival. Hope to see you there. We have a variety of high quality home decorations including dried flowers and fruits, candles and oils but our three best sellers are perennially popular! Will it be the same for 2016? We’ll let you know. Jormaepourri is a family business creating gifts and decorations using dried fruits, flowers, spices and fragrances. They have some lovely lavender and rose based products ideal for summer decoration – especially weddings. Organza bags make ideal wedding favourswhile dried flower hearts, pomanders and candles provide the fragrance of summer fruits and berries. Comments Off on More Summer Love! 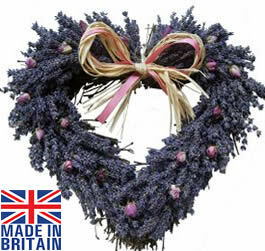 A beautiful heart shaped twig base decorated with dried lavender. Finished off with a raffia bow and scented with relaxing ‘Lavender Fields’ oil, it is a perfect addition to a home or used as a wedding decoration. Jormaepourri bring you hand made, high quality home decorations for all occasions. 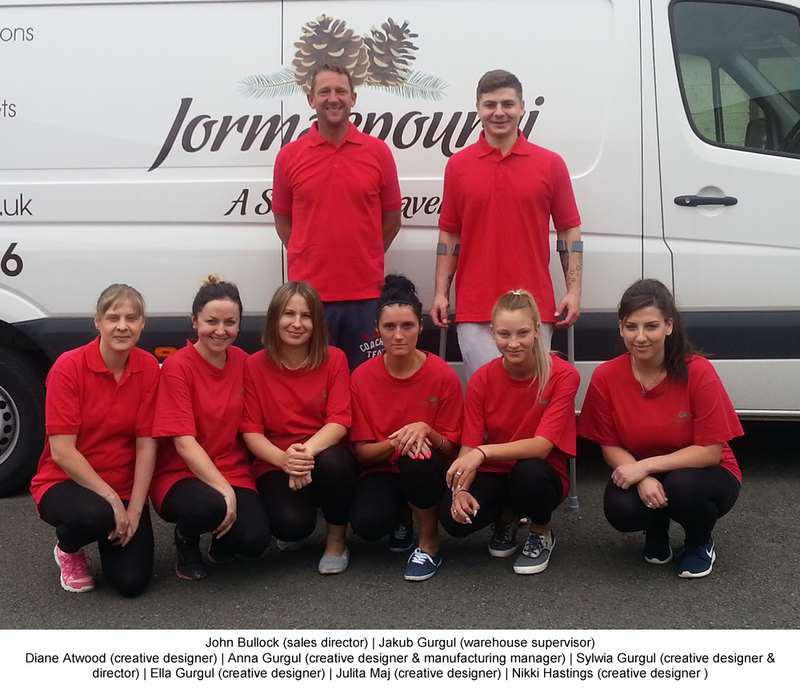 Our team of English and Polish designers and assemblers are based in Gloucestershire and they are proud of their quality and craftsmanship. All our decorations are made with great care!